Bobby was admitted to practice law in California state courts and in federal court in 2003. He began his legal career as an associate in a small firm specializing in federal and state criminal defense and in family law. In 2004, he was hired by the Inglewood City Attorney's Office as a Deputy City Attorney. In that capacity, he was responsible for filing criminal cases, conducting misdemeanor jury trials and working with city officials to abate city nuisances. Since 2006, he has been employed by the Los Angeles County District Attorney's Office as a Deputy District Attorney. He is currently assigned to be a felony trial deputy where he prosecutes defendants for a wide range of felony conduct. His cases include murders, attempted murders, gang and cartel cases, kidnappings, complex robbery sprees and complex fraud cases. He has conducted over 30 felony jury trials which included picking a jury, presenting evidence, cross-examining witnesses and arguing sentencing. Dean Nicolacakis is a partner in PwC’s Financial Services Practice and co-leads the banking team in the US. Dean is responsible for the Financial Services Research Institute, the Financial Services practice though Leadership group. Dean advises CEOs, CIOs and other senior executives on strategic issues such as customer experience, the optimal leverage of their delivery channels, new product innovation, information strategy, transformational change initiatives, and the strategic use of technology to achieve business and growth objectives. Dean has depth across multiple sectors of Financial Services including Retail Banking, Payments, Lending and Brokerage. Eleni’s experience includes working with both children and adults in individual and family therapy. Throughout her traineeship and internships, she worked with survivors of both domestic violence and sexual abuse, as well as perpetrators of domestic violence. In addition, she has worked with a Foster Family Agency, in which she worked with foster youth, their foster families, and their birth families. Eleni worked for a few years at a nonprofit providing individual and family therapy for school aged children. She also served as an Administrative Supervisor, overseeing a program that focused on short-term therapy to children who were being considered for Emotional Disturbed placements in school settings. Currently, Eleni is working as a Mental Health Clinician for Turlock Unified School District and is assessing students to find out if they qualify for the disability of Emotional Disturbance in the school setting. Dr. Elias Taxakis is completing a radiology residency at The University of Michigan Health System. He graduated from Wayne State University School of Medicine in May, 2014. Dr. Taxakis would like to help students in college and graduate school who may be interested in a career in medicine. Erasmia started a wholesale jewelry business in 1981. Her business evolved from selling gold to stringing pearls and finally to becoming a supplier to the jewelry trade with Pearlcraft Manufacturing. Her expertise includes pearl stringing, diamondology, & jewelry design & sales. At one point, she worked with 22 retail jewelry establishments, servicing and supplying them with natural & precious stone beaded jewelry, pearls and pearl findings. She worked as a designer with Hudson’s (Macy’s) as well as Saks 5th Avenue department stores for over 15 years providing yearly trunk shows and on site custom jewelry design. She has served and supplied Hudson’s (Macy’s) stores in the Metropolitan Detroit area for over 25 years and now continues to work with private jewelers and accounts to provide individual customer service. Erasmia knows the wholesale/dealer jewelry business and the various aspects of the business. 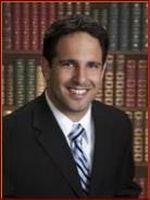 George P. Rodarakis is a co-founder of the Rodarakis & Sousa law firm. For over ten years, he has represented clients before Federal and State courts throughout California, as well as before arbitrators and various administrative bodies. He has prosecuted and defended all types of cases, including breaches of contract, breaches of fiduciary duty, business dissolutions, real estate transactions, boundary line and easement disputes, construction defects, labor law issues, and personal injury cases. George also handles various business related matters. He is experienced in the formation of business entities, as well as in the preparation of escrow instructions, grant deeds, promissory notes, preliminary change of ownership forms, easement deeds, easement agreements, license agreements, lot-line adjustments, zoning variances, real estate purchase agreements, real estate lease agreements, partnership agreements, and operating agreements. In conjunction with a number of his transactional matters, he has represented clients before various state and local agencies, including planning commissions, boards of supervisors, City councils, water districts, the Department of Fish and Game, the Department of Water Resources, and the Federal Bureau of Land Management. Helen retired from Ameritech in February of 2000. During her career with this organization, she held various titles. These included supervisory, management, and executive management positions in customer service, business sales, and market management teams as well as DM/DR Network Programs and incentive & recognition programs. She served as the state sales director for the pay phones sector, and led the corporate human resources team through the implementation of corporate downsizing. 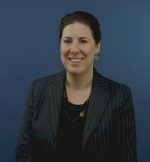 Her expertise are in the areas of Sales, Community Relations, Corporate Strategic Planning, and Teambuilding. Since retiring, Helen has done some independent consulting for Fortune 500 companies. Helen has been a member of the Ladies Society of Detroit KPHTH for over 3 years and served as their secretary for several of those years. On a national level, Helen was an elected trustee of the Pancretan Endowment fund for six years, on the KPHTH Editorial Board (since 2001), and is currently the Chair of Strategic Planning, a position she has held since 2009. 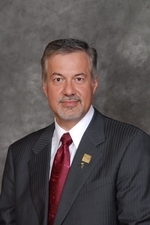 John G. Manos, President of BankFinancial, has 20 years of experience in the lending industry. John oversees the development and management of Commercial Customer relationships locally and nationally throughout the United States. John grew the Regional Commercial Real Estate department from the ground up and drove a remarkable increase in CRE production at the bank over a 12 year period. He has many years of experience and has worked with Fannie and Freddie loan products. He maintains comprehensive knowledge of loan origination wholesale and retail, credit guidelines, loan structuring, risk management and collateral valuation. With the diligent help from Mr. Manos, BankFinancial has accelerated its multifamily lending program locally and nationally. The loan program has made such tremendous strides, that BankFinancial has created a niche in the Chicago Metropolitan market with competitive rates and fees that have madeBankFinancial one of the top multifamily lenders in the Chicago MSA. John is a member of several organizations and has worked with CCIM, CAA, CAR, NICAR, ICSC, MBA, CREF, and ALA.
Katie Markakis graduated from Arizona State University in 1998, with a B.A. in Political Science. She is an accomplished specialty retail buyer and planner, whose 20 years of experience include various rolls in the Fashion, Action Sports, and Sporting Goods Industries. Katie spent the beginning of her career in the Winter Sports Industry as a buyer for Ski and Snowboard Apparel and Accessories, eventually growing her roll to oversee the entire Winter Sports, Outdoor and Action Sports divisions for one of the largest specialty sporting goods retailers in the West. She has also served as an advisor for several manufacturers to help them develop trend-right products for various markets. Katie currently works for Bebe Stores Inc, as the Director of Merchandise Planning, where she manages product investments, sales, and performance for all of bebe Apparel. Pagona Stratoudakis is a senior Paralegal and Nonprofit Project Manager at the Pacific Legal Foundation, a conservative/libertarian foundation focused on public interest law. She acts as the Director of College of Public Interest Law (CPIL) attorney fellowship program, Assistant Director of the Program for Judicial Awareness, Manager of the Coastal Land Rights Project and recently received admission into the Charles Koch Institute's Liberty@Work program for non-profit professionals dedicated to advancing the principles of liberty and economic freedom. She has over 10 years of experience in appellate and civil litigation practice in both state and federal courts throughout the United States. Her areas of specialty include constitutional law, environmental regulation, property rights, individual rights and economic liberty. 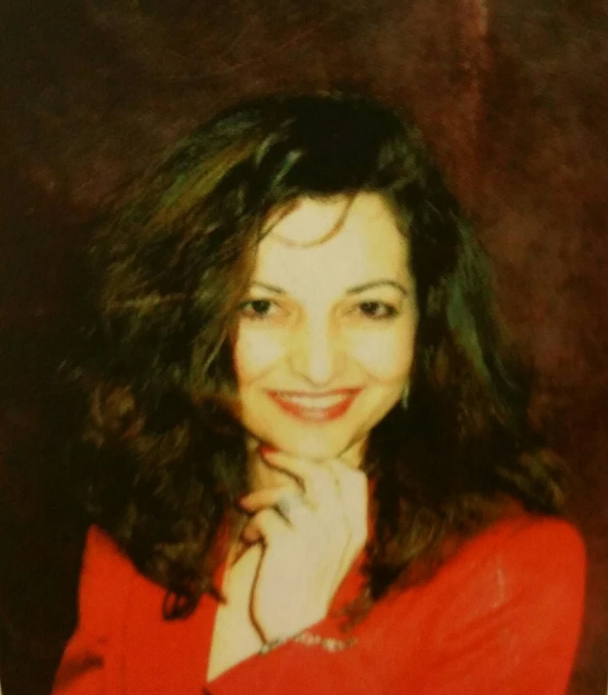 Pagona studied Business Management at the American College of Greece, Deree College, and received her BA in Government (Political Science) from California State University, Sacramento and an AA in Paralegal Studies from MTI College. Masters of Science Physician Assistant Studies – (Samuel Merritt College). Bachelor’s of Science, Biology – (University of California, Davis). Stelios is a physician assistant with over 5 years experience. He is currently working in Thoracic Surgery within the Dignity Health system in Sacramento, CA. His responsibilities include being the first assistant to the thoracic surgeon, hospital/in-house management of patients, and consultations. He assists in a variety of surgeries primarily for the treatment of lung, esophageal and chest wall cancers. These include thoracotomies, lobectomies, pneumonectomies, VATS (video-assisted thorascopic surgery), esophagectomies, esophageal stent placements, paraesophageal hernia repairs, Super-Dimension bronchoscopy, and EBUS (endobronchial ultrasound). He collaborates closely with many of the others doctors, including hospitalists, pulmonologists, intensivists, and other surgeons, in co-managing patients. Stelios began his career working in the Emergency Department at various hospitals. While working in the Emergency Departments, his responsibilities included seeing and evaluating patients, ordering and interpreting both labs and imaging, suturing, and treating a variety of complaints. Terry Stratoudakis, P.E. has been working in automation since 1998. He is currently the President and co-founder of ALE System Integration, a National Instruments Certified Partner. Terry's background includes automated test system design, control system design, process control, instrument control, air flow testing, sound & vibration analysis, automated calibrations, control systems, FPGA programming, and project management. Prior to working at ALE Terry worked for six (6) years at Underwriters Laboratories (UL) designing automated systems for product safety testing; the systems interfaced with enterprise-wide databases as well as a wide range of equipment. He taught instrumentation as an Assistant Adjunct Professor at the New York City College of Technology of the City University of New York (CUNY). Terry holds a Masters of Science and Bachelors of Science in Electrical Engineering from Polytechnic University (NYU-Poly); while in college he interned at Brookhaven National Laboratories in the RHIC experiment’s Instrumentation Group as a Technician. He is a New York State licensed Professional Engineer and a National Instruments Certified LabVIEW Architect and Certified Professional Instructor. Terry is a Chairman of the IEEE Long Island Consultants Network. He is Chair of Long Island Section's Instrumentation & Measurement Society of the Institute of Electrical and Electronics Engineers (IEEE). Bio: Dr. Marmaras is a NY licensed psychologist and a Diplomate in Clinical Psychology. She is an author, educator and mentor. Her deepest passion is in helping professionals to connect deeply with their power, realize their highest potential and make their greatest contributions to themselves, families and to the world while maintaining their grace, dignity, and peace of mind. She appeared on NGTV and spoke about the effects of stress on mind/ body and on how parents can nurture secure relationships with their children. Dr. Marmaras, a proud Helene, volunteers for Physicians for Human Rights helping refugees obtain political asylum in the United States.